We’re getting to the end of our CSA. I’m sad. I hate going all winter without fresh vegetables and fruits but we get what we can at the market. This week we received corn, pumpkins, tomatoes, peppers, basil, and apples. 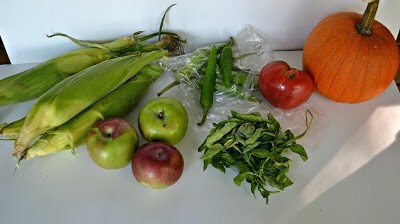 The apples I used in a fabulous vegan apple pie (recipe coming soon!) I used the tomatoes and peppers for enchiladas one night. The basil I used in my pasta. The pumpkins are great because I can make several recipes out of one. This week I used the pumpkin to make pie and bread. Yum! Then came the corn. 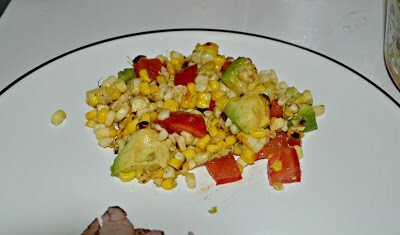 I wasn’t sure what I was going to do with the corn because work has been getting busy. I feel like this year especially I’m being pulled in a million different directions and I can’t get to all of my kids everyday. I think that’s part of being a special education inclusion teacher. I have kids in grades K-5 so I’m always off and running from one room to another. I wore my pedometer yesterday and can you believe that during the work day I walked 3.4 miles just going from one classroom to another? Craziness! 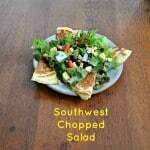 I wanted to make tacos but I needed a side dish to go along with it and I saw a photo for a light and fresh grilled corn salad that I wanted to try. There was no recipe attached to it so while I had to wing it, it turned out great. 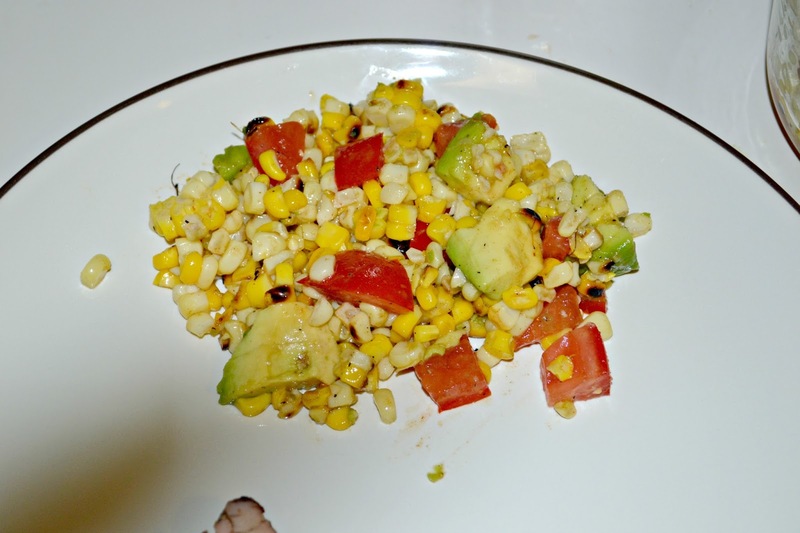 Grilled corn and avocado are tossed with a honey lime dressing spiced with chili powder. 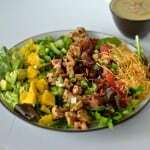 It’s delicious and a great healthy side. 1. Heat the grill to medium heat. 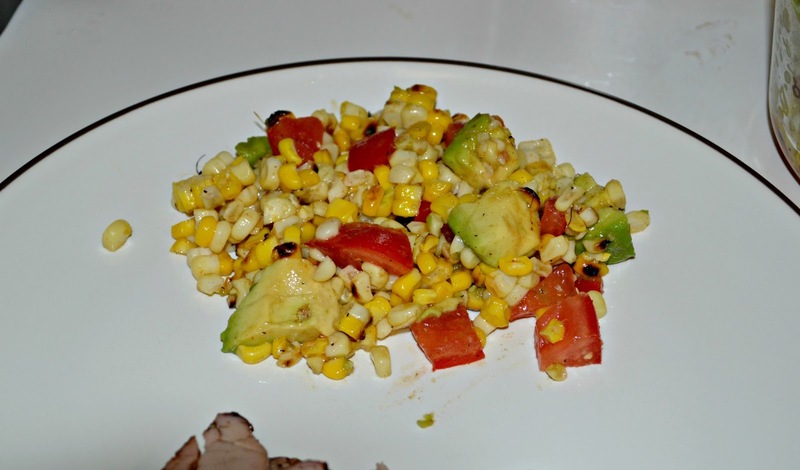 Brush the ears of corn with the olive oil and sprinkle with salt and pepper. Cook on the grill, turning every few minutes, until it is golden brown. Remove and allow to cool. 2. Once the corn has cooled, cut the kernels off the cob and place in a large bowl. Peel, seed, and dice the avocado and add it to the corn. Toss in the halved cherry tomatoes. 3. 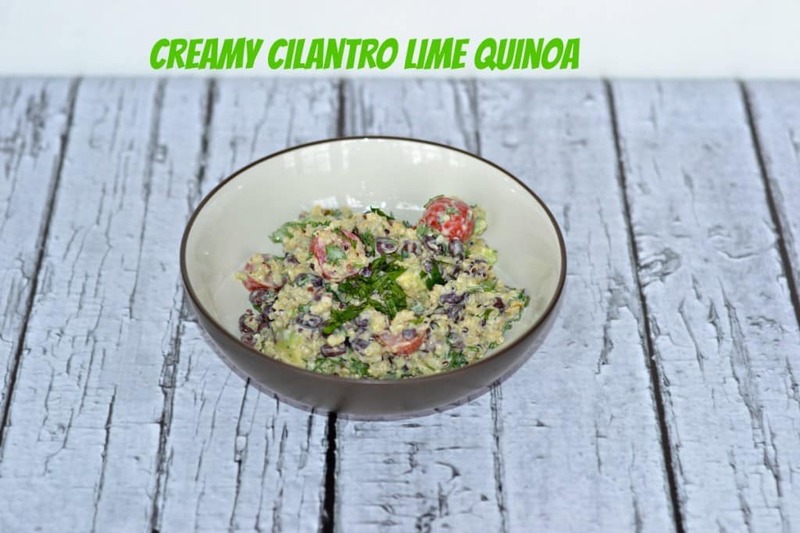 In a small bowl combine all the ingredients for the dressing and whisk until combined. 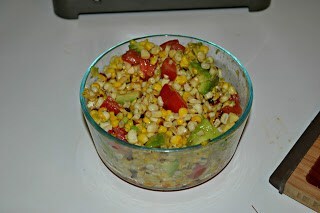 Pour over top of the corn and avocado salad. Toss to combine. 4. Refrigerate for at least 1 hour to allow the flavors to mingle. Serve cold.